RALEIGH, N.C. – The Special Event Company CEO, Sally Webb Berry, CSEP, will accept the 2018 Lifetime Achievement Award at the Special Events magazine Gala Awards on Feb. 1. The honor, decided upon annually by the advisory board of Special Events magazine, is one of the most prestigious accolades in the event and meeting industry. 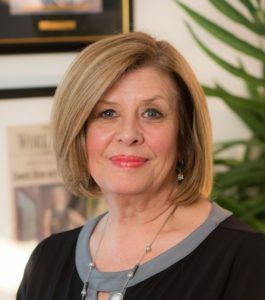 Webb Berry is a widely recognized industry leader with more than 30 years of experience in event planning and production, following her career in sports PR and marketing in the U.K. Throughout her 30-year career, she and the company have been recognized with more than 40 international awards, including Top 50 Event Company by Special Events magazine, International Event Producer of the Year by Event Solutions magazine, Lifetime Achievement Award from the International Live Events Association (ILEA), Business Leader magazine’s Top 50 Women Extraordinaire Award, Special Events magazine’s Top 25 Greatest Industry Influencers of the Past 25 Years, and the Steve Kemble Leadership Award for outstanding contributions to the special event Industry. Prior to moving operations from London to the U.S. in 2005, Webb Berry was a founding member and president of ILEA in the U.K. In 2007, she became the founding member of the Academic Event Professional Conference, which provides learning opportunities specifically for academic planners. She is an international lecturer on event management, and an instructor in Duke University’s Event Development Certificate program. In 2012, alongside Roger Daltrey and Pete Townshend of The Who, Webb Berry helped to found Teen Cancer America (TCA), which is dedicated to providing specialized treatment facilities for teens with cancer. She and her team continue to support Teen Cancer America with events nationwide and are working with the local community to facilitate the implementation of a TCA treatment center in the Raleigh-Durham region of N.C. The Gala Awards, now in its 32nd year, will be held on Thursday, Feb. 1 during The Special Event Show in New Orleans, La., an industry conference and trade show. The Special Event Company is also nominated for a Gala Award recognizing one of their events as a Best Event for a Non-Profit Organization.